Boulet Ladies Boot 7713 These women's pull on boots are from Boulet's Challenger collection. You’ll get all day comfort in these men's pull on boots from Boulet's Challenger collection. 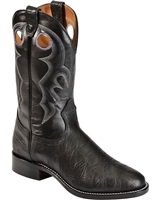 Boulet Women's Challenger Boot 7703 These Men's Boulet boots have a clean and classic look. A long history crafting boots, attention to customer needs, and a wide variety of cowboy boot styles makes Boulet boots some of the best around! Boot boasts a genuine leather foot under a fancy stitched 13" leather shaft. Boulet cowboy boots are known by cowboys around the world for their durability, comfort, and being first in fit.